(May 22, 2013) The President of India, Shri Pranab Mukherjee conferred the 47th Jnanpith Award for the year 2011 on Dr. Pratibha Ray at a function at Balyogi Auditorium, Parliament Library Building, New Delhi. 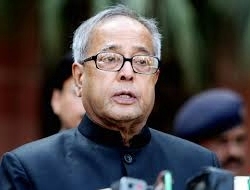 Speaking on the occasion, the President called upon schools and colleges to encourage the reading of the abundant prose and verse that has been published in India’s vernacular languages. He said reading vernacular literature would educate our young about distant regions that they may not be aware of – and make them more sensitive to the social, religious and cultural diversities of our country.